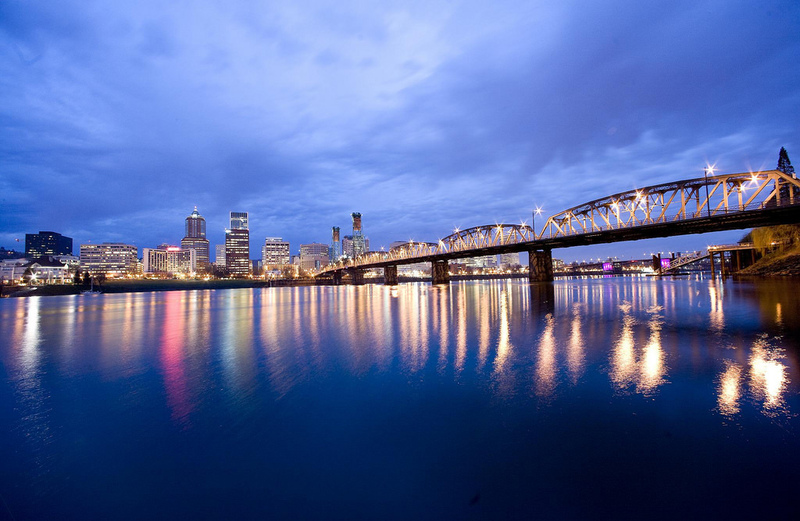 Portland is Oregon’s largest city, and in fact, roughly 60 percent of Oregon’s population lives within the Portland metro area. This city is known for its environmentally conscious status, walkability, farm to table dining, thousands of acres of public parks, and perfect climate for growing roses. In recent years, Portland has been recognized for its status as a best city for seniors, foodies, and families with young children alike. It’s one of America’s least stressful cities, and one of America’s best cities for a healthy retirement. With these accolades in mind, it’s no surprise that Portland ranked eighth in a list of cities where people would love to move. And move they have, making Portland one of the 10 hottest housing markets in 2016. Portland’s market has been highly competitive for buyers in recent years. With a challenging real estate environment, buyers need a real estate professional that can go to bat for them, while buyers need help maximizing their home value. An experienced, highly qualified, and motivated Realtor can do just that — and we’ve found 15 of Portland’s best. We’ve highlighted the best Portland Realtors, professionals who have years of experience and the skills and ability to expertly guide clients through the Portland real estate market whether they’re buying, selling, or investing in the metro area. Every one of the Portland real estate professionals we’ve listed here would make an excellent choice for your next real estate transaction, so we’ve listed them without ranking order. Instead, we’d like to hear from you: please vote in our poll at the end of this article to tell us which Portland Realtor you think is the best. But don’t wait: the poll closes in 30 days! Tim Manickam is the principal broker of JMA Properties with more than 11 years of experience. He has lived the the Northwest for more than 30 years and isn’t just a broker, but a home owner and real estate investor. Manickam puts his practical experience to work to help clients buy or sell homes in Portland’s dynamic and fast paced real estate market. He is regularly featured as the Portland real estate expert on HGTV’s Bang for Your Buck, works with international clients as they purchase homes and condos in Portland, and speaks both Thai and Tamil. Clients call Manickam a pleasure to work with an assert that he provides tremendous value to them. They’re impressed by his knowledge, effort, and ability to navigate Portland’s challenging market with ease. Real estate broker and agent with Portlandia Properties, Dawn Barry-Griffin is a 20+ year resident of Portland. She also has more than 13 years of experience in real estate. Barry-Griffin became a real estate agent after remodeling several homes and becoming excited about the possibilities of every home and neighborhood. She specializes in the close in areas of Portland and older homes in particular, but works in most of the neighborhoods of the Portland metro area. Her clients say she is responsive and efficient, and helpfully coordinates every detail of the sales and purchasing process. They greatly appreciate her knowledge, honesty, and availability. Jennifer Johnston is a highly experienced real estate professional with more than 15 years in real estate. She is the principal broker of Premiere Property Group and a native of the Portland area. She has specialized in the home buying and selling process since 2001. Her goal is to make clients feel that they’re house hunting or selling with a trusted, experienced friend who is also a great negotiator and able to find a new home or sell their existing one. Johnston promises a stress free and agreeable real estate experience. Clients say she makes the entire process smooth for them, answering every question and keeping them in the loop. She assesses their needs, addresses their fears, and stays dedicated to the task at hand. Tim Walters has more than 24 years of experience in real estate. He is the principal broker of Tim Walters, PC. Walters specializes as a buyer’s agent and listing agent with special interests in relocations and foreclosures. He is dedicated to providing the highest level of service to every client and has gained a reputation for exceptional service and knowledgeable representation. Walters is a top producing real estate professional, ranking highly among Oregon’s best Realtors since 1992. Clients call his market knowledge exceptional and they note his attention to detail, negotiating skills, and unwavering advocacy as some of his greatest strengths. They trust him to give the best advice for buying and selling homes in Portland. After moving from New York City to Portland, Chris Suarez founded the PDX Property Group at Keller Williams Realty. Now working over the past decade as one of Portland’s top producing real estate consultants, he has combined luxury customer service, top level negotiation, intense knowledge, and excellent marketing in the local real estate market. Clients enjoy a concierge level of customer service with a relentless work ethic from a highly skilled and seasoned real estate team. Suarez and the PDX Property Group are experienced in working with local, out of state, and international clientele with luxury customer service at any price point. Clients say he hears what they want, then makes it happen. They’re impressed by his knowledge of the Portland area as well as his professionalism and communication, even when they’re living in another state. Andrew Galler is the principal broker of Urban Nest Realty. He has more than 14 years of experience in real estate. Galler specializes in realizing the goals of his clients. He is a skilled consultant, negotiator, and advocate for buyers with excellent representation. Sellers with Galler enjoy aggressive, proven, and effective marketing. He also specializes in investment property and transactions for out of town clients. Clients are blown away by his results, including being able to sell their homes in less than a month for well over asking price. They appreciate his responsiveness, excellent representation, and help maneuvering through the selling or buying process — which is why they return to him for help in real estate time and time again. Dirk Hmura is a broker with Eleete Real Estate. He is a Diamond Platinum Level member of the Masters Circle and has been Eleete’s top selling agent since 2011. Hmura is also ranked among the top 20 agents in the Portland metro area. He is passionate about homes and Portland, with more than 45 years in the area as he has watched growth and changes. Hmura is extremely knowledgeable about building materials and codes, and is a professional at handling inspection negotiations, remodels, and repairs. Clients are impressed by Hmura’s local knowledge and attitude. They value his sense of trust, confidence, and expertise. Plus, they’ve found his responsiveness and excellent negotiation skills to be invaluable. Jessica Tindell is founder and principal broker of Tindell & Co. She is a North Portland native with more than 11 years of experience in real estate. Her lifetime in Portland has given her excellent market knowledge, and she is always on top of changing trends and market conditions. Tindell is proud to offer clients a personal approach, prompt attention, and processional service for property management and real estate needs. She holds a number of designations including Certified Negotiation Expert, Graduate Realtor Institute, and Certified Seller’s Specialist. Tindell is active in the community as the local director of PMAR and a state representative with OAR. She is president of the Wilson High School Trojan Touchdown Club as well. Clients say Tindell and her team are highly knowledgeable and put them at ease knowing that their needs are well taken care of. They love her detailed communication, updates, and confident presentation. Rambo Halpern, a Realtor with more than 12 years of experience, is known as The Bungalow Guy. He has extensive experience in remodeling, restoring, and renovating older homes in Portland and is well known as an inner city real estate specialist. Halpern has sold more than $150 million in Portland real estate and has been featured in local media including The Oregonian, Oregon Home Magazine, and The Oregon Daily Journal Of Commerce. His awards and achievements include the RE/MAX Hall of Fame, RE/Max Platinum Club Member, and recognition as a Portland Monthly 5-Star Real Estate Agent every year since 2011. Clients call Halpern outstanding, honest, responsive, and extremely knowledgeable. They note his support team is excellent, and he and his team often go above and beyond the call of duty. Andee Zeigler is the principal broker of Vintage Real Estate. She has more than eight years of experience in real estate. She became a Realtor for the love of houses and the joy of matching people up with the right home or finding the perfect investment property. When Zeigler moved to Portland in 2000, she promptly gutted and restored a beautiful Boise-Eliot Victorian fixer upper, and has lived in several North/North East Portland neighborhoods. She continues to be amazed by the homes of Portland and is always on top of new listings for old homes. Active in the Portland community, Zeigler is the community events coordinator for the Beach School PTA and a former PTA auction chair. Leanne Ishibashi is a real estate professional with more than 20 years of experience. She specializes in residential real estate, listings, purchase assistance, relocation, and interior decorating. She is a licensed broker in Oregon and Washington with more than 100 homes sold and 40 million in sales in 2015 alone. Ishibashi is also honored to be a member of the Master’s Circle and Million Dollar Club and a top producer with Hasson Company for years. She prides herself on incomparable client service and exceptional professional expertise whether she’s representing first time home buyers, distressed home owners, investors, or empty nesters. Clients call her amazing and highly professional. They know they can count on her to work through any challenge with knowledge, attention to detail, and persistence. Chris Dawkins is the principal broker of The Dawkins Group at Keller Williams PDX Central. His group is among the top 1% in sales volume of all Portland area real estate agents with more transactions and more experience to make every purchase or sale go smoothly. Dawkins his team deliver comprehensive real estate coverage and consistently list and sell properties in a fraction of he average market time and above list price. They promise to return communication promptly, deliver honest advisement, and put client interests first as they exceed expectations. Clients appreciate knowing that Dawkins and his team are always available and ready to help. They value his critical eye, especially when looking at the quality of construction and other issues. They say he is professional, passionate, supportive, and goes above and beyond throughout the process. Beth Earnest has specialized in Portland metro real estate since 1992. With more than 24 years of experience, clients have come to count on Earnest as she guides them through the buying or selling process. Earnest is the principal broker of Earnest & Associates Real Estate, and 90% of her clients are repeats and referrals. She specializes in residential and investment properties in the Portland metro area as well as properties in Vancouver and along the Oregon coast. Earnest relies on her years of experience and knowledge of the market to guide her as she cares about her clients and listens to their needs. Clients say Earnest and her team put them at ease. They value her negotiation skills, upbeat personality, knowledge, and trustworthiness. They say she is extremely responsive and goes above and beyond to make the process as smooth and stress free as possible. Karina Stark is the principal broker of The Karina Stark Team with more than 20 years of experience as a licensed Realtor. She has helped nearly 1,000 families in her career and sold more than $270 million in volume in the past 16 years. Stark and her team take a refreshing approach to real estate, overseeing every transaction with a refreshing approach using outstanding negotiation and problem solving skills. Stark’s honors include Platinum Diamond membership in Portland’s Master’s Circle, a Top 1% Award Winner with John L. Scott Real Estate, Top Realtors Under 30, and Top Producing Broker with Keller Williams. Clients of Stark enjoy their experience with her and say she and her team make the entire process smooth. They’re amazed by her ability to bring in professionals to exceptionally market their homes and ultimately sell above asking price. Buyers know that Stark and her team care about them on a personal level and will always give them honest assessments and a great deal on a new home. Owner of Portland Creative Realtors, Helen Hoyt has more than nine years of experience in Portland real estate. Hoyt has developed Portland Creative Realtors into a family business, working with her three daughters to serve clients throughout the Portland area. She is proud to be a creative Realtor, analyzing homes with an understanding of remodeling and building that can help clients identify opportunities as well as serious problems that may be difficult to deal with. Hoyt has an excellent understanding of every Portland area and is always excited to share what she knows about the flavor of every Portland neighborhood. Clients are impressed by her ability to guide them through the process and get great results. They appreciate her willingness to make time for them as well as her ability to effectively negotiate on their behalf.